From BarnOwl version 9, the Risk form has been updated to include a range of new functionality, as well as making existing functionality easier to view and update. 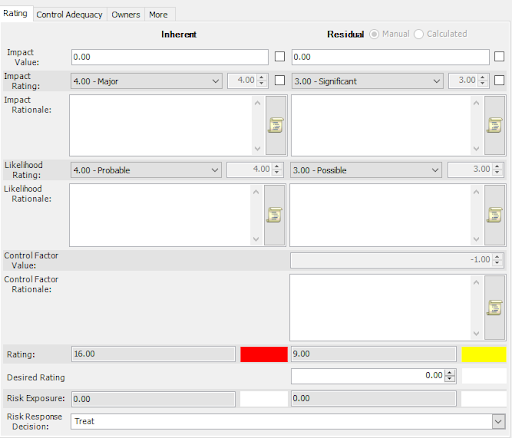 The new layout of the Risk form enables you to see the full context of the risk in one place. On the left side, information which is risk-specific is displayed. This information will not change, no matter where the risk is applied. 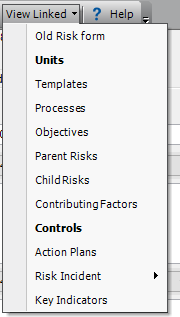 Note: you can disable changes to the left side of the Risk form in the Server Management Console. For more information, see Item Specific Field Editing. You can also switch between a library description and Unit description. This is to make provision for a risk which may have additional factors when applied to a specific unit. The Ratings tab (formerly Qualitative and Quantitative) have been consolidated so that you can have a full picture of the risk. All the functionality remains the same. 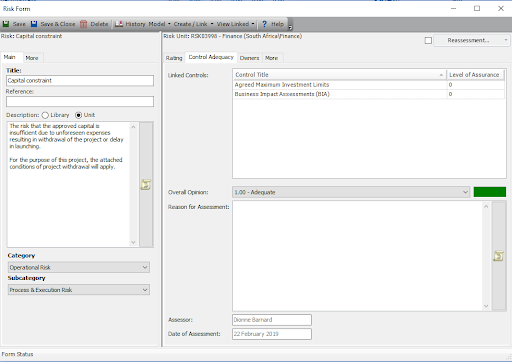 You can now view Control Adequacy and Combined Assurance ratings in the Risk form. 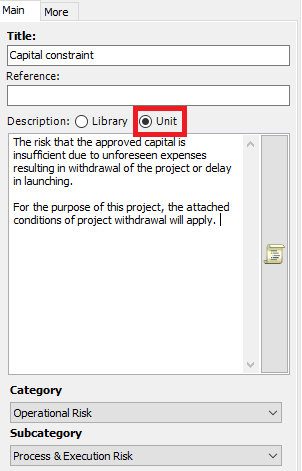 The Create Link button enables you to link items to the risk directly from the Risk form. Click the “Create / Link” button to open a drop-down list. The Create/Link form opens. For more information, see Creating and Linking Items. 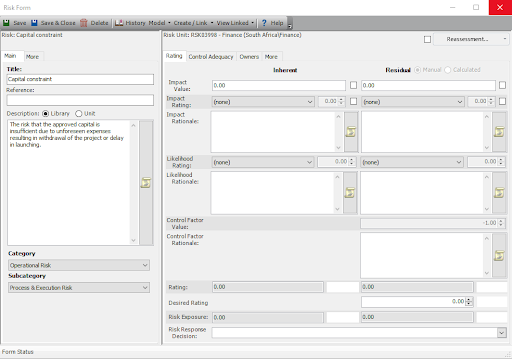 This is a new feature which has been added in version 9. 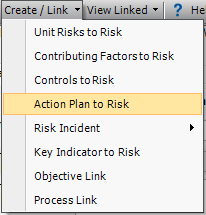 You can view all items linked to the risk directly from the Risk form. Click the View Linked button to open a drop-down list. Items in bold indicate linked items of that type. In this example, the risk is linked to a unit, and also to controls. Click the item on the list to open the View Linked form. For more information, see View Linked Items.